What is content marketing fitness? 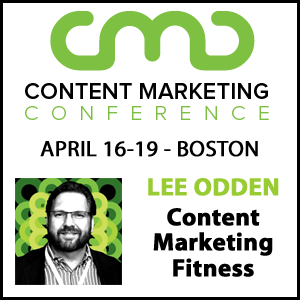 Join TopRank® Marketing chief executive and co-founder Lee Odden as he shares 10 exercises to build your marketing beach body during Content Marketing Conference 2019 on April 17 in Boston. Lee brings his noted B2B content marketing background to Boston for “Content Marketing Fitness – 10 Exercises to Build Your Marketing Beach Body,” which he’ll present on Wednesday, April 17 at 10:30 a.m. Eastern. 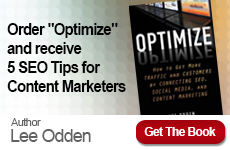 Join Lee in Boston to catch a fascinating new session exploring content marketing. Research has shown that marketers are challenged to create a variety of engaging content on a consistent basis. With a quick look in the mirror, it’s easy to see why. Bad habit strategy, low metabolism execution, overly-processed tactics and sugar-high shiny object software that doesn’t get used properly if at all. The solution: 10 marketing fitness exercises to help transform your content marketing operation into a lean, mean ROI-generating machine. Registration and conference details are available on the Content Marketing Conference 2019 website. If you can’t make it in person, follow along on Twitter using the #CMC2019 hashtag. We hope to see you there for an excellent session at a renowned content marketing event now in its fifth year. 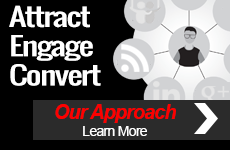 In the meantime you can learn more from Lee and others on the TopRank Marketing team by connecting with our award-winning marketing blog. If you’d like to talk with us directly about how to improve your own content marketing performance like we have for B2B brands ranging from DivvyHQ to LinkedIn, connect with us here.